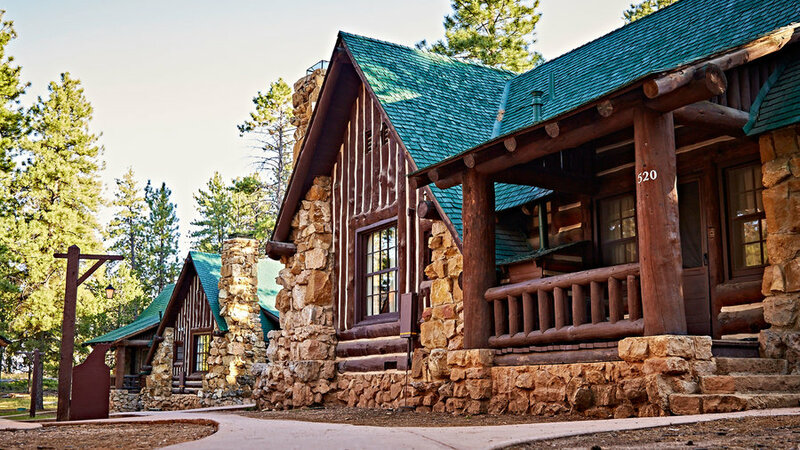 Where to Dine in & Near Bryce Canyon N.P. The Lodge at Bryce Canyon Lodge. Treat yourself to a meal with a side of history in this 1925 dining room dominated by a magnificent stone fireplace. Breakfast and lunch are standard, while dinner options include buffalo flank steak, roasted duck and rack of Utah lamb. Highway 63; brycecanyonforever.com/dining or 435/834-8700. General Store. If you’re short on time, or need a last-minute snack, this general store by Sunrise Point has fresh sandwiches and slices of pizza, assorted snacks and soda and beer. Hang out at a table on the front patio. Highway 63; 435/834-8700. Foster’s Family Steakhouse. Generous portions of decent food; homemade pies are delicious. 1152 Highway 12; 435/834-5227. Subway. Subs made to order. 139 Highway 12; 435/834-5888. Escalate Outfitters Café. Find everything from pizza to subs, espresso, baked goods and salads. The café even has its own microbrew, Vagabond Ale. 310 W. Main; escalanteoutfitters.com or 435/826-4266. Circle D Eatery. From the eggs benedict to the burger, we’ve yet to be disappointed by anything at this bright and cheery café. 475 W. Main St.; escalantecircledeatery.com or 435-826-4297. Even if Boulder, Utah, pop. 180 and about 80 miles from Bryce, wasn’t surrounded by national parks, people would travel here to eat at Hell’s Backbone Grill, which blends the culinary traditions of the Western Range, Pueblo Indians and the Southwest. It’s one of the best restaurants in the state. Friends Jen Castle and Blake Spalding cook mostly with ingredients grown in their two gardens and on their six-acre farm. The lamb and beef is Boulder-raised and grass-fed and -finished. HBG serves breakfast (blue corn pancakes), lunch (pumpkin-piñon enchiladas) and dinner (chipotle meatloaf) and advance reservations are recommended for dinner between May and September. Hell’s Backbone Grill. Even if it wasn’t surrounded by national parks, people would travel to Boulder to eat at Hell’s Backbone, named for a nearby geological formation. The often-changing menu uses simple ingredients, most from the grill’s own no-harm organic farm (three miles away). The lamb and beef is Boulder-raised and grass-fed and -finished. It’s been recognized numerous times as one of the best restaurants in the state, so, in summer, make sure to get dinner reservations in advance. Breakfast and lunch don’t require reservations. Jct. Highway 12 and Burr Trail; hellsbackbonegrill.com or 435/335/7464. Burr Trail Outpost. When you need some caffeine, find a full coffee menu here, as well as loose leaf teas and smoothies. The secret to the outpost’s super fluffy cinnamon rolls is potatoes. 14 N. Hwy 12; burrtrailoutpost.com or 435/335/7565.